I am in need of some help with Morigeau Lepine 6296 sleigh crib parts. 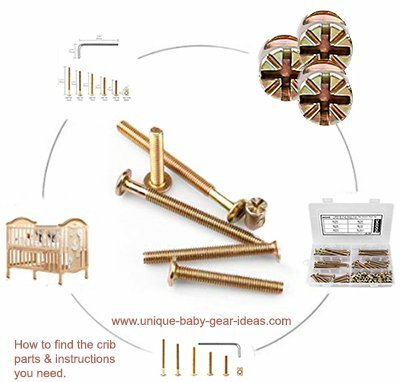 I am looking for a copy of the crib parts list and the crib assembly instructions for a white 6296 Morigeau Lepine sleigh style baby crib. I need a parts diagram and/or list more than the complete assembly instructions manual. Go here to find what is available for a Morigeau Lepine sleigh crib. If anyone has any suggestions where I might find a download or pdf file for the information I need, please contact me using the space below (and PLEASE include your contact information in case I need to get in touch with you!). Unique Baby Gear Ideas encourages our visitors to share their resources for everything to do with the now defunct Morigeau Lepine furniture company including parts, parts diagrams and instruction manuals.